My Routine, My Life: Mari Makan! Hari nih nk cerita pasal makananan lah plak. Let's go one by one; I'll explain it to you~ Hehe, Fyi, most of the food below was cooked by me myself! Well, since at UTP, I usually posted all the food stuff that being cooked by me and my roomate. Not true lah, I'll mix up with the food I eat outside too. Yang nih pon sama gak. This picture was taken by me at Burger King, KLCC. The taste is just like other burger; but since I was terribly hungry as I can eat a horse, I just eat it up till the last pieces. 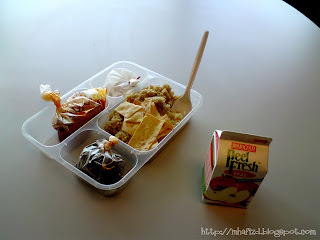 This is Lunch Pack after having COP at the office prepared by Kopetro. It's free! So, I can spend my money to buy something else. Have you ever tried Laici Kang? This one is really2 Laici Kang. I've ordered at Food stall near Sungai Rengit last time when I was attached to the Teluk Ramunia yard. 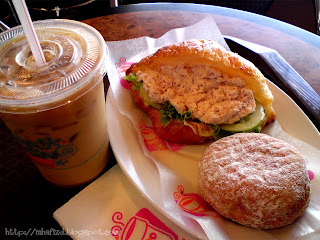 It's kinda great to have it for lunch since the weather is hot and it will definately fresh you up. Restoran Subaidah! 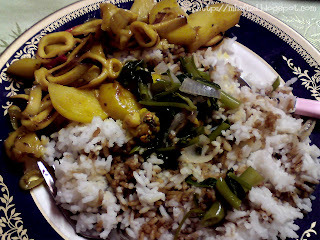 This is not-so-good food lah, but I'll definately craving for it once a month. 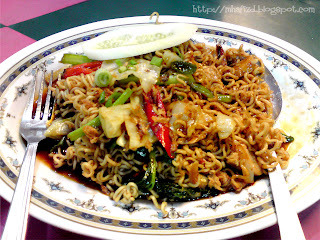 This Maggi Goreng used to be my late night meal at UTP long time ago~ RK, Sithik and Salam restaurant at Tronoh - in memory. 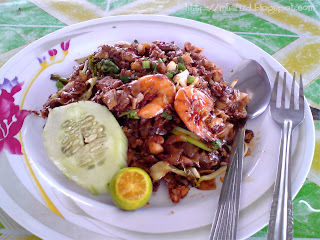 Koey Teaw Goreng! Haha, it that the correct spelling? I hardly found myself confuse when writing Koey Teaw at Cafetaria UTP for my dinner. This one, friend of mine bought it the same place where I ordered Laici Kang. Now come to the food that was cooked by me. I LOVE seafud!!! This prawn was bought by me at JJ. Last night was the last piece of it. 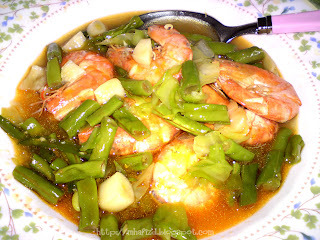 Thanks to our refrigerator - it keep my prawn fresh for one week!!! Haha. This is 'Udang Masak Halia Bercili'. My very own recipe. I'll post the recipe later on ok? 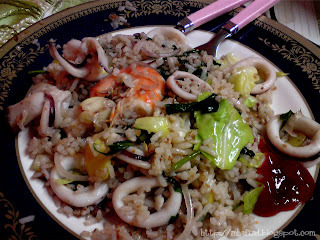 This is 'Nasi Goreng Seafood'. Again, I LOVE seafood very much. Just mix everything in the pan and fry it together gether~ahaks..
P/s: Tahniah kepada my lil brother yang score UPSR. Eleh, senang jek UPSR tuh.. haha. Cuti sekolah pon dah bermula, so sape2 yang nk kawin tuh jgn lupa jemput! 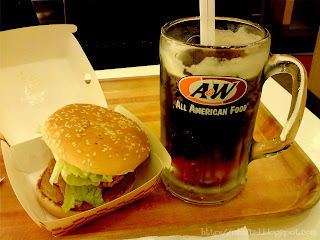 pembetulan.. dah terang-terangan kat situ A&W.. cakap burger king pulak! kekeliruan disitu.. ahaks..
wei tahniah adik hang score brp.. 5A? 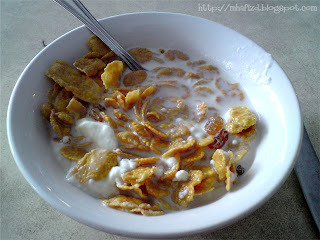 Jup lagi aku try wat..cornflake + teh O.. hehe..tengs for the info..
sabo je lah tengokgambo2 makanan neh ehehe. eh hafizd.blogspot.com tuh blog ko yg ke berapa? tersalah masuk plak ;p.
makan saja keje kamo yer. hahahaa. Perut aku yang membesar skng.. haih.. kene exercise neh... wajib!!! 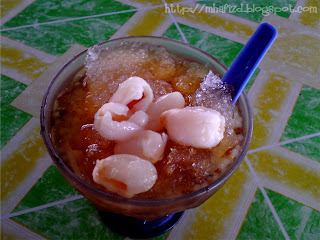 hafizd.blogspot tuh adalah my 1st blog.. yg tuh just hapdet gambo2 edited version je..hehe..